Before you purchase a new nonprofit accounting tool, assess your needs, budget, and goals. Image: rawpixel.com. After a fundraising campaign, many nonprofits often realize the gaps in their technology strategies. During large campaigns or projects, you’re working with all of your software as a “cohesive” unit, which makes it especially easy to identify these gaps. While it may seem frustrating in the moment, this is a good thing for your nonprofit. By identifying the issue, you can evaluate your tech strategies to ensure your organization is operating as smoothly as possible. One common software weakness that nonprofits experience is with their accounting tool. As nonprofits grow, they often find they quickly expand beyond the capability of their initial accounting software solution. If your organization needs to boost your accounting software functionality, here are some fundamental questions you should ask to choose the best solution. 1. Why does my organization need accounting software? Accounting for nonprofits is unique. You rely on donations, stay accountable to donors, and aim to fund a mission rather than make a profit. 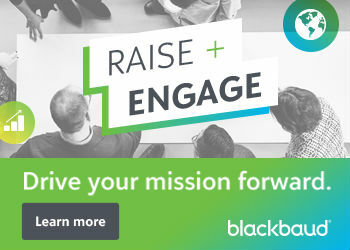 With unique goals and functions, why would your nonprofit invest in accounting software built for for-profit businesses? Invest in nonprofit-specific software to adhere to these specific needs of your organization. Make informed decisions. With ensured accuracy of data, your nonprofit can make educated decisions based on facts and metrics rather than guesses. Budget according to your specific needs. Save budgets from previous years to compare to your current budgets and estimate the cost of different recurring needs. Take care of internal operations. Keep internal operational costs within your main budget system to pay employees, check timesheets, and store human resources records. Be prepared for the future. Create and store accurate records to track your finances now and into the future. Accounting software is designed to help your nonprofit save time and money that are best directed towards your mission. For more information about what to look for in your software research, check out Community Brands’ nonprofit accounting software buyer’s guide. 2. How flexible is my software budget? While a tempting option, free fundraising software isn’t always a great idea. Generally, it takes an investment of some sort to access accounting software with the functionality and security you need to succeed. Plan out a specific budget you’re willing to use to invest in your accounting solution. Try your best to stick to this budget, while still maintaining all the important functionality you need from the software. Make sure your software will help your nonprofit measure important fundraising and financial metrics, while still remaining within the set price range. We recommend creating a software budget range instead of a set number. This helps nonprofits resist falling into the trap of choosing the cheapest solution and missing out on features, but also helps them cap the budget at a certain amount. Effective budgeting for accounting software all comes down to extensive research. Start by listing the features you need from your software. Then, reference guides like this one to learn more about software offering those features. Get an idea of the price range those are in and decide if you can afford them. If you can, great! Go back and check out your own finances to set a budget range for yourself. If you can’t, start brainstorming alternatives or opportunities to cut budgetary expenses elsewhere. 3. Will the software help me track my campaigns? Your nonprofit’s main source of financial revenue likely comes from your fundraising campaigns. Therefore, it’s important to have a location within your accounting software to track these campaigns, from their costs to their successes. Tracking your fundraising campaigns within your nonprofit accounting software will help you plan for these costs and will increase the likelihood of a positive return. Before investing in a software solution, be sure it will help your nonprofit track your various fundraising campaigns to keep an eye on both cost and ROI. From there, you can accurately budget for the future. If you are planning a long-term major campaign, such as a capital campaign, it may be worthwhile to invest in a consultant to help you plan and budget. He or she will show you some capital campaign best practices to save you money and encourage a better ROI. 4. What else should my accounting software help my nonprofit do? While fundraising campaigns may be the primary source of funding for your nonprofit, tracking this fundraising should not be the only requirement you have for your next accounting software solution. 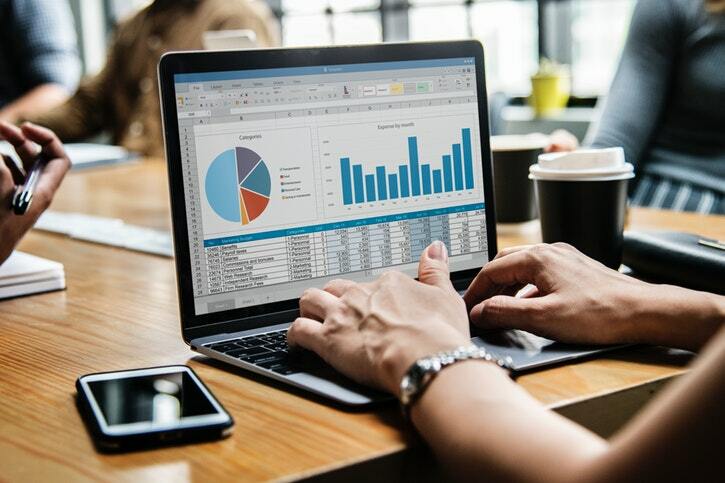 Other functions your accounting software should have to aid your nonprofit include tools for robust budgeting, employee compensation, and grant tracking. Nonprofits rarely have a single budget. More often than not, they need to create multiple budgets and set up “what if” scenarios to track all of the different funds and projects. Watch out for accounting software that limits the number of budgets your nonprofit can make or forces you to pay extra for more budget functionality. One of the biggest stress points for nonprofit leaders is compensation for their employees. It’s difficult to encourage employee retention while operating on a lean budget. Accounting software with tools that factor in your nonprofit’s employee compensation will streamline reports for these internal operational costs and help you stay on budget. If you’re having difficulty retaining employees or want to learn more about proper and effective compensation, check out Astron Solutions’ nonprofit employee compensation guide. Tracking grants is a little different from tracking other finances. The allocations required by grantors dictate that your nonprofit provides a complete audit trail for the finances spent. Accounting software should offer advanced calculation options to allocate and report on fixed or dynamic percentages, unit measurements, and more. These features are essential for better tracking of grant expenses. 5. What if my nonprofit gets audited? Your nonprofit’s accounting software should prepare you for the potential of getting audited. Your reporting tools are designed to give you a better view of your funding and expenditures. However, they should also protect you from potential audits. Look for accounting software that offers reports that automatically adhere to the Financial Accounting Standards Board (FASB) standards and the Governmental Accounting Standards Board (GASB) guidelines. Instead of looking up all the different compliance rules every time your nonprofit generates a report, use a fund accounting software for nonprofits to ensure your reporting is quick, easy, helpful, and compliant. One thing to watch out for is that many software providers require nonprofits to pay additional fees to access this type of reporting. Make sure these reporting standards are included in the core features of the software solution in which your nonprofit invests. 6. Will we need to switch software again in a couple of years? Finding evergreen software is a tricky business these days. Technology advances so quickly! There are all sorts of advanced concepts regarding technology that your nonprofit needs to understand already. How will those concepts change and advance over time? You should be prepared to handle those changes. Accounting software should be ever-evolving to fit with the times. Check out the changelog for the accounting software your nonprofit has researched. The changelog should show you how often updates are run and what increased functionality has been added to the software solution over time. Your nonprofit should not only be prepared for the state of technology to change over the next few years, but also how your organization itself will change. Nonprofits everywhere are looking to grow, so it’s easy to expand past the functionality of an accounting software solution. Look for accounting software with flexible options. As you grow, your organization will be able to reevaluate and add-on software modules. While you may not need these modules now, you may need them in the future. A flexible solution helps nonprofits obtain the features they need now, but also gives them the room they need to continue growing in the future. Asking the right questions will help your nonprofit make the best decision when it comes to purchasing a new nonprofit accounting tool. Conduct plenty of research before making an investment. This will save you time and energy in the future. Pia Simeoni is Director of Marketing for Nonprofit Solutions at Community Brands. You can find Pia on LinkedIn and Twitter (@piamariabobia).